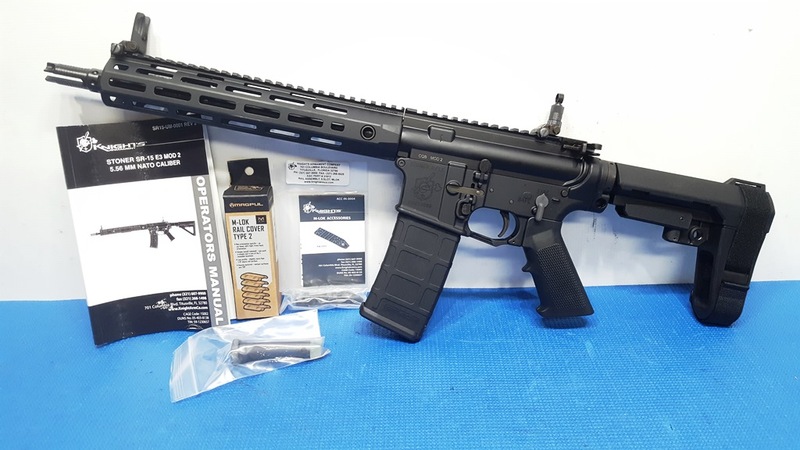 Knight's Armament 11.5" SR15 5.56mm Pistol with KAC 11.5" MLOK Upper, and KAC 5.56 Ambi Lower sporting a SB TACICAL SBA3 6 POSITION Adjustable Armbrace. Included are all the handguard panels and 1 KAC buffer and 1-30rd mag. These come with the SR15 Ambi Lower receiver.